Does Geographic Growth Pay Off? A new regional analysis of law firm geographic profiles and growth reveals the payoff from being a truly national or international law firm just may not be what it once was. Over the past decade the primary objective of many large law firms has been a simple one: get bigger. Firms of all sizes and regional origins have made deliberate moves (and some explicit announcements) that indicate their intention of becoming national or international players in the legal space. The trajectory from regional to super-regional to national to international is well-worn; and the benefits of being an international or national law firm seem indisputable. AmLaw-reported revenue demonstrates firms who fall categorically into the international or national realm are strong performers. Their 2016 revenue is 146% higher than a typical regional firm, on average, and their profits per equity partner average 13% higher. A new regional analysis of law firm geographic profiles and growth, however, reveals the payoff from being a truly national or international law firm just may not be what it used to be. In 2009, international law firms generated 3 times the average AmLaw firm in revenue and national firms 1.6 times the average. By 2016, both these figures dipped, with international firms dropping to 2.6 times the average and national firms to 1.3. Still higher, yet not as pronounced. Over the same time frame, the percentage of AmLaw 200 firms categorized into the international or national segment increased from 19% to 30% of law firms, a notable macro-shift in the industry in less than a decade. Before getting deeper into this analysis, an explanation is in order. Mainly, what does it mean to be a national or international law firm? For the purposes of this analysis, law firms were categorized based on the distribution of lawyers across various U.S. regions and globally. By our approach, 53 of the 179 AmLaw 200 firms analyzed from 2009 to 2016 are national or international as of the most recently published data. Other law firms were grouped into regions based on the region in which the greatest number of their lawyers resided (see the end of this article for more detailed on the methodology used). While this methodology, like most, is far from perfect it does provide us with an objective, concrete way to analyze the market and the movement of law firms along the spectrum from regional to national and beyond. Other measures such as brand, reputation and profile, though they may extend beyond the geographic footprint, are simultaneously amorphous and mutable; and, in many instances, they reflect perception far more than reality. Figure 1 illustrates the regional dispersion of the 179 law firms present in both the 2010 and 2017 AmLaw 200 rankings. From 2009 to 2016, 29 law firms shifted regionally. Eighty-percent (80%), or 23, of these movements followed the aspirational path from regional to national or international. Of the few that did not follow this traditional route, two-thirds actually reverted from national to their historical regions (e.g., King & Spalding’s emphasis on international expansion, compounded by a dip in its Houston office, positioned the firm back in the South East where 41% of its lawyers resided in 2016). Regional Trends: Which Regions Performed Best? 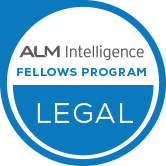 Within the U.S., the Greater New York, Midwest and Mid-Atlantic regions boast the highest concentration of AmLaw 200 firms. New England, a smaller region by definition, hosts the fewest of the top 200 firms in the U.S. Size, however, is not a deterrent to financial performance. New England vies for the highest growth in PPEP of the regions, rising 32% from 2009 to 2016. New England also boasts the greatest increase in both PPL and RPL at 27% and 22%, respectively. It is perhaps not surprising why the recently anointed top-ranked firm in the U.S., Kirkland & Ellis, set their sights on the market for their most recent expansion. Like New England, the South East, which spans the eastern seaboard from South Carolina to Florida, seems to prove fortuitous for growth. The fastest-growing region by revenue, the South East outpaced average growth by 44% and contends with New England for the greatest increase in PPEP over time. The region also enjoys above average rises in PPL and RPL, making it one of the more growth-oriented regions in the analysis. In all fairness, the firms in these regions did start from lower revenue bases. The basal disparity, though, lessens in per partner and lawyer metrics and these regions continue to outperform the others. Unfortunately, not all regions fared as well as New England and the South East. The region registering the smallest growth in both PPEP and PPL is the Mid-West where average PPEP grew at a rate ¾ of the typical firm. Greater New York is also at the low-end of the growth rates in key financials such as RPL and PPL, as are International firms. The variability in performance across regions is evident. Perhaps less so are the possible explanations or compounding factors. The million-dollar question remains – does it pay to become a national or international law firm? Does National or International Expansion Pay Off? Let’s tackle the question from two perspectives. First, in absolute terms – national firms in 2016 generated about 27% more revenue than the average firm. Their RPL and PPEP results are on par with average and their PPL figures fall just below. International firms performed at a much higher level, with revenue 2.6 times the average and PPEP 26% greater than a typical AmLaw 200 firm. Their RPL and PPL, however, both register lower than average – and lower than national firms – the likely result of their size, leverage and varying international currencies and contributions. Profit margins for both national and international segments are below average. In terms of change, the picture is equally spotty. Firms that transitioned to becoming national or international players between 2009 and 2016 expanded rapidly, increasing revenue 32%, one-third more than firms who did not expand beyond their regional categorization, and in line with national and international players. Among these firms are a handful of high-profile mergers such as Hogan Lovells and Locke Lord. The vast majority, however, expanded organically or through smaller acquisitions. Revenue growth, however, is the sole bright spot in terms of change for these firms. PPEP grew at rates similar to regional firms and notably slower than 2009’s national and international firms, as did profit margins. Other measures of profitability, including RPL and PPL, suffered as firms invested in growth, suggesting firms are acquiring lawyers more quickly than clients and work, at least for those in the U.S. Those expanding internationally may instead be trading growth for expansion in lower-rate global regions. Growth in these metrics trailed regional firms by 27% and 25%, respectively. In short, the firms who grew from regional to national or international are bigger but not necessarily better. Being national or international is an attractive position with somewhat mixed results. The appeal is not ubiquitous. On a broader scale, the implications for the industry are equally murky. As firms continue to jump on the national and international bandwagon, the system itself will continue to show signs of strain – overcapacity, slowed growth rates and declining profit margins. A future rife with increased consolidation, quietly failing firms and notable dissolutions seems likely. Yet there are bright spots to be found. For some firms, the benefit of buckling down and investing in core strengths may far outweigh those of expansion. Firms with more lawyers outside of the U.S. than in any single U.S. region earned the international moniker. Those firms with more than 12% of lawyers in at least 2 major U.S. super-regions captured the national designation. The remainder were categorized into the region housing the majority of their lawyers. Marcie Borgal Shunk is president and founder of The Tilt Institute, a firm dedicated to unveiling new perspectives on law firm growth through intelligence, innovation and intuition. She facilitates must-have discussions with executives in legal and specializes in helping law firm leaders make better, data-driven business decisions.